HAYS, Kan. – Complete High School Maize is an alternative school that educates students in grades 9 through 12 who struggled in a traditional high school setting. So Heidi Albin, in her ninth year as a science teacher at the school, comes up with alternative ways to make things work. Albin, who earned both her bachelor’s and master’s degrees from Fort Hays State University, joins an elite group of numerous FHSU grads who have won the award. It gave FHSU its first back-to-back Milken winners since 2000. Albin follows Stephanie Conklin, a 2002 Fort Hays State graduate and now principal of Brougham Elementary School in Olathe, who was honored in 2016. Albin teaches biology, earth science, health and agriculture at CHSM, a school for ninth- through 12-graders. In addition to the traditional curriculum, students are exposed to life skills through elective units such as survival skills, first aid and cooking. They get to experience chick hatching and husbandry. Albin wrote a grant for a community garden at her school and raised funds to acquire a therapy dog to help students cope with depression and anxiety. Using alternative methods to learn is nothing new to Albin, who began her teaching career in a path different than the traditional teacher education program at FHSU. After earning her bachelor’s degree in cellular molecular biology in 2009, Albin accepted a job at the Maize alternative school and immediately began working on her teaching certification through FHSU’s Transition to Teaching (T2T) program. T2T, an alternative route to teacher licensure in Kansas, is an online program that offers a professional education curriculum that meets the state’s restricted licensure qualifications. It is designed for mid-career professionals seeking a chance to enter the teaching profession. Albin knew she wanted to teach from the get-go, but she had a passion for learning as much as possible about teaching science. So she chose to pursue a biology degree, then immediately started taking the T2T classes while working simultaneously on her master’s degree in secondary education. FHSU professors remember the student who sat in the first or second row each class period. Dr. James Barrett, chair of the advanced education department and coordinator of the T2T program at the time, agreed. Albin is the only Milken Educator Award winner from Kansas for 2017 and is among a group of less than 50 honorees nationwide for that year. She is the first FHSU alum who went the T2T route and won a Milken. “That’s a verification that our program is a quality program,” Barrett said. “That definitely speaks to the quality of students we attract into that program,” added Dr. Paul Adams, dean of the College of Education. Besides being able to tout its quality, Fort Hays State’s T2T program is also the largest of its kind in the state. More about the T2T program can be found at www.fhsu.edu/transition-to-teaching. The first Milken Educator Awards were presented by the Milken Family Foundation 30 years ago “to celebrate and empower outstanding educators.” In addition to public recognition and an abundance of network opportunities for Milken Award winners, the award comes with a $25,000 cash prize. Not surprisingly, Albin has chosen to share that with her staff and students. She has plans to buy each of her fellow staff members a gift and take them out for a meal. One of those who helped Albin was Dr. Steve Woolf, superintendent of Erie USD 101. Woolf, a Milken Award winner in 1995, started a program called WILD that helps teachers engage students in the outdoors with adventure and experiences, learning, leadership and service. Woolf helped Albin implement the WILD program, which promotes the environment and conservation, at her school and nominated her for the Milken Award. FHSU grads who were Milken Award recipients in the 1990s could tell Albin a bit about the perpetual benefits of Milken winners. Hall, now superintendent of Osborne USD 392, was the industrial education teacher at Stockton High School when he was tabbed for a Milken Award. With technology looming on the horizon, Hall decided to change the industrial education program’s name to technology and design and adjusted his curriculum accordingly. So Hall used a model from Pittsburg Middle School, which was using modules that gave students a broad-based education.  The modules feature areas such as transportation, electronics, desktop printing, manufacturing and computer-aided drafting. Hall also incorporated numerous methods of teaching technology that he learned as a college student at FHSU. “Fort Hays State became a leader in the technology education program,” he said. Just this fall, FHSU opened a new state-of-the-art Center for Applied Technology that replaced the existing Davis Hall, built in the early 1950s. “(FHSU) has always been great at hands-on, work-ethic culture – and still is,” Hall said. Several other FHSU grads who won Milken Awards stayed in western Kansas to teach. Three of those were educators who won the Milken while working in Hays schools – Nancy Costigan Talbott, science teacher at Kennedy Middle School in 1993; Deliece Mullen Hofer, O'Loughlin Elementary School teacher, 1996; and Nancy Harman, O'Loughlin principal, 2000. In fact, Talbott and Harman still live in Hays in retirement. Talbott was part of a boon decade of FHSU winners in the 1990s. Nine Fort Hays State alumni were Milken winners from 1992-99. Talbott said that even today, she still reaps the benefits of winning a Milken. 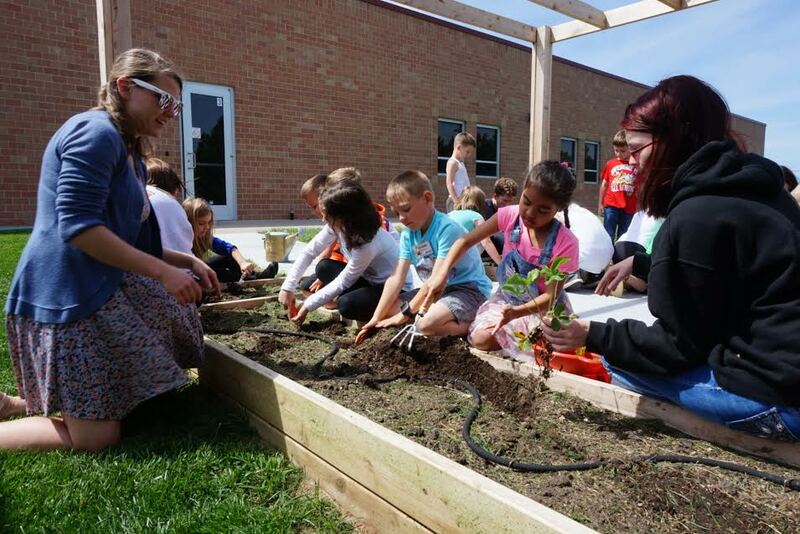 Cutline: Heidi Albin, left, science teacher at Complete High School Maize, works with her students and elementary school students at the CHSM garden.